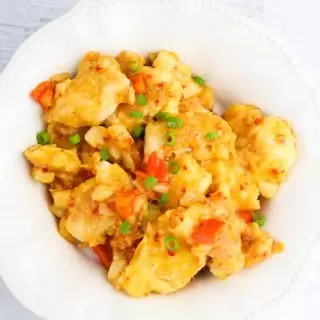 This Spicy Chicken with sweet chili sauce is a delicious Thai recipe that pairs well with white rice or noodles. 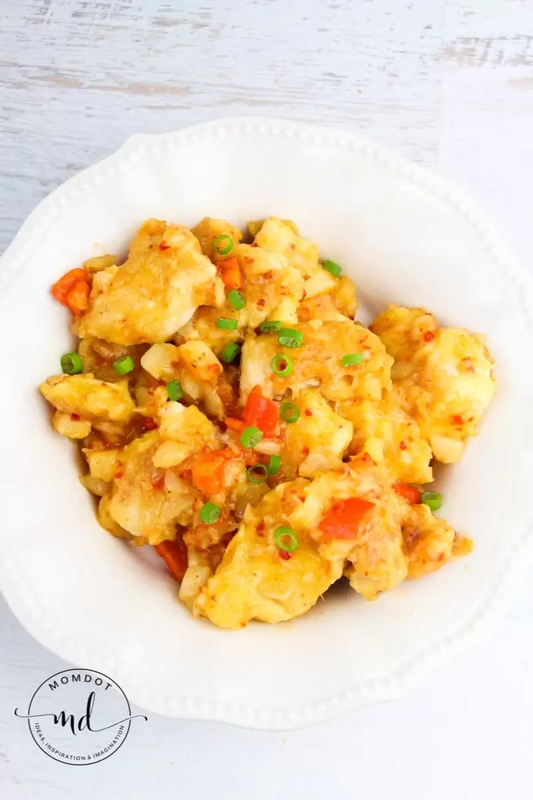 Look for printable recipe for the Sweet and Spicy Thai Chicken and how to make crisp tender veggies that pair perfectly with these spices that will dance in your mouth. 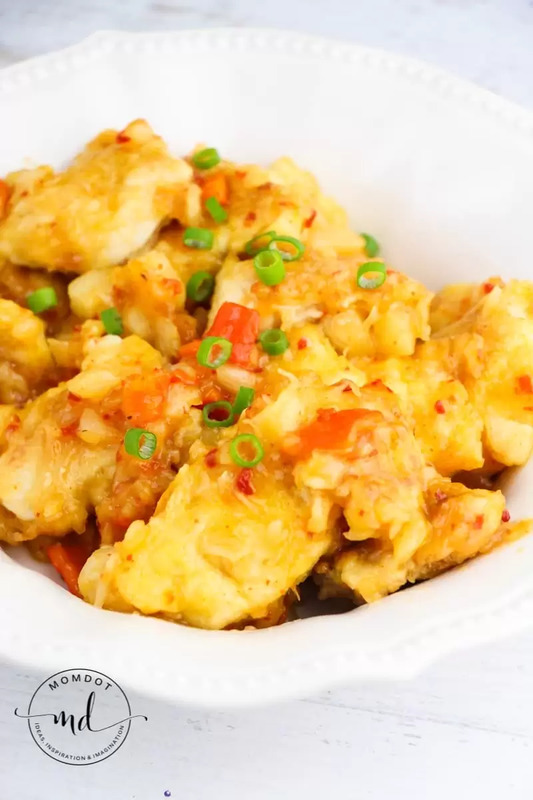 This is one of those spicy chicken recipes that helps when you add some Pineapple – it tops it off perfectly for a delightful hint of sweet! Add oil to large skillet and heat over med-high. 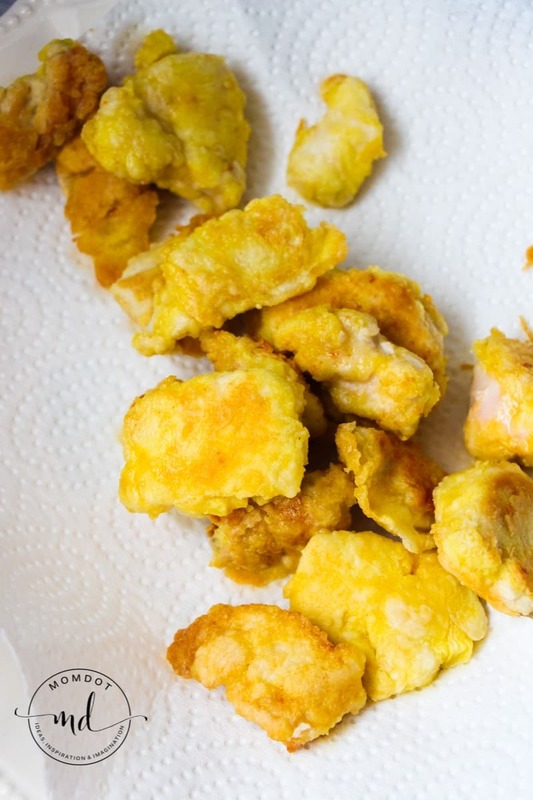 Dip your chicken chunks into flour, then dip right into egg, then back to coating in flower and set aside. Depending on size of skillet, add a fair amount of your coated chicken to your skillet and cook on both sides until crispy and done. This will take approx 2-3 minutes per side. Add to a napkin lined plate (to soak oil). Now add your cut up bell pepper, thai sauce, and pineapples into a bowl. Once chicken is done, add olive oil to same skillet and toss in your cut up bell paper and pineapples till crisp tender. Add chicken and combine well. This recipe is so delicious it will make your dinner rotation! Head here for another fantastic Thai Spicy Basil Chicken Stir Fry recipe! 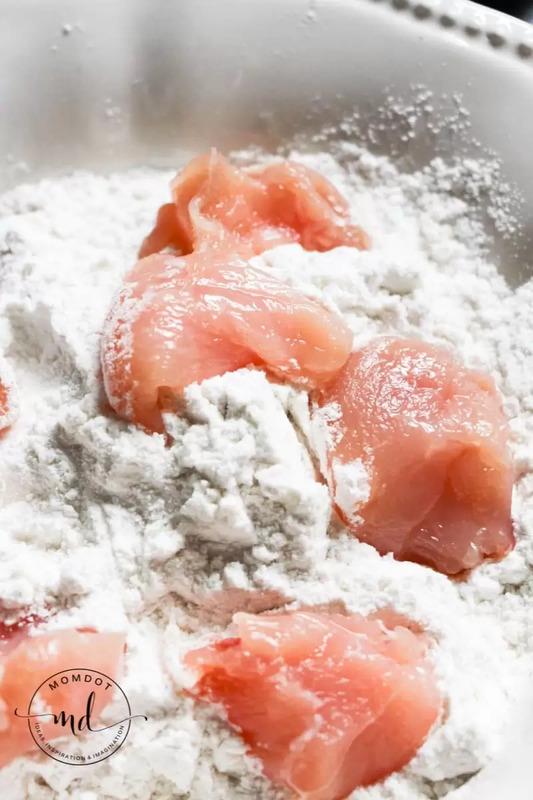 Depending on size of skillet, add a fair amount of your coated chicken to your skillet and cook on both sides until crispy and done. This will take approx 2-3 minutes per side. Add to a napkin lined plate (to soak oil).